Carson City's Mayor, Bob Crowell, had a vision that "downtown needs to be a place to drive to, not drive through." What was historically a road for horse-drawn carriages evolved into a highway with nearly 40,000 vehicles driving through per day. A new freeway was opened in 2007 that diverted a lot of the pass-through traffic and that pushed forward the interest to revitalize the downtown space into a center of pedestrian activity and business. 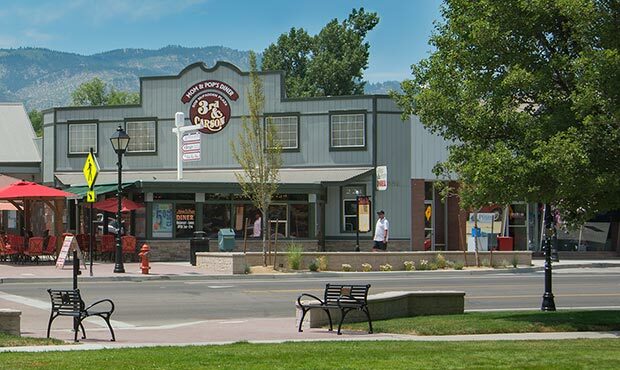 While the site furnishings didn’t come into play until the end of the project, Kate Durbin, the Keystone Ridge Designs Territory Manager who worked on the project noted, "I was introduced to the Carson City project through Ben Fish at Design Workshop. I was excited about the initiative from the start because it was a movement towards making a busy space more usable for residents and pedestrians." Ben Fish, the Lead Designer, and the team at Design Workshop worked closely with the city, community organizations, business owners, property owners and suppliers to move the project into and through construction. Special consideration was given to maintain the character and individuality of Carson City through all elements including lighting, signage, paving, furnishings, seating, civic art and plantings. The classic style of our Schenley benches with cast bronze plaques was chosen to coordinate with the theming of the streetscape. While there were many obstacles to the $11.4 million investment, the success was celebrated with a ribbon cutting at the annual Nevada Day parade. Success was also realized in the amount of visitors to the downtown area and increased patronage to local businesses. The transformation of the road into a walkable, bikeable downtown has set the framework for further revitalization efforts throughout the city. This is where our benches continue to play a role. All of the benches that we provided were equipped with a plaque tray that allows for future plaque installation. 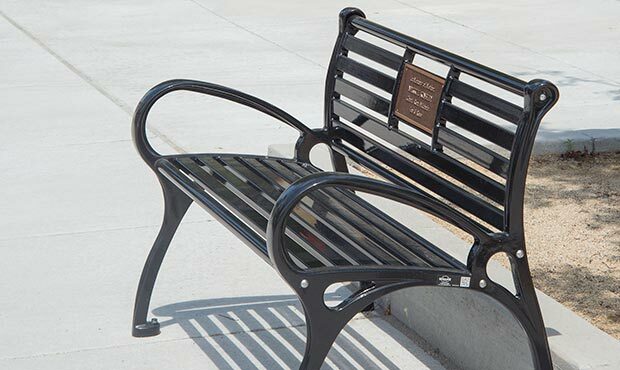 The city continues to solicit community involvement and raise funds for additional downtown improvements by offering the opportunity to purchase memorial or sponsorship plaques on the benches. Krysten Haemel, Carson City Senior Office Specialist, has been actively involved with the community and the plaque sponsorship process. 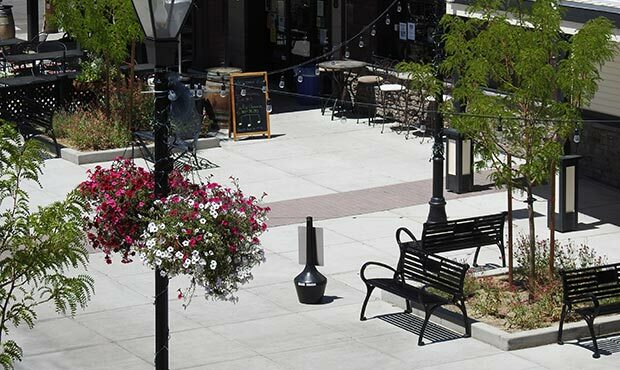 She states, "As Carson City's downtown changes and grows with our expanding community, the benches give the citizens a chance to create lasting memories of life-changing moments, honor loved ones, remember traditions, and promote local business." 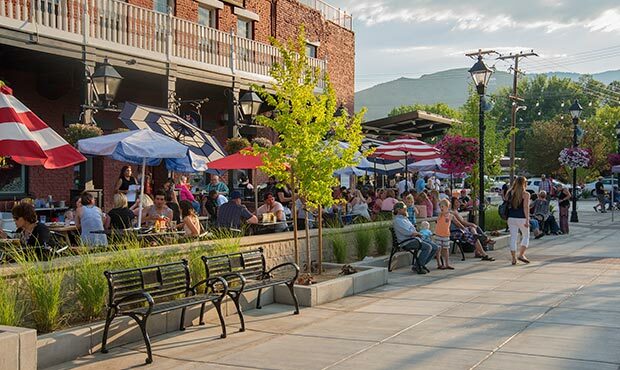 We work with towns and cities of all sizes across the country, but there is always something special about the ones like Carson City who can reinvent and revitalize themselves with the support of an active community. As Kate explains, "My favorite projects are those that bring communities together, and that’s exactly what this was!"